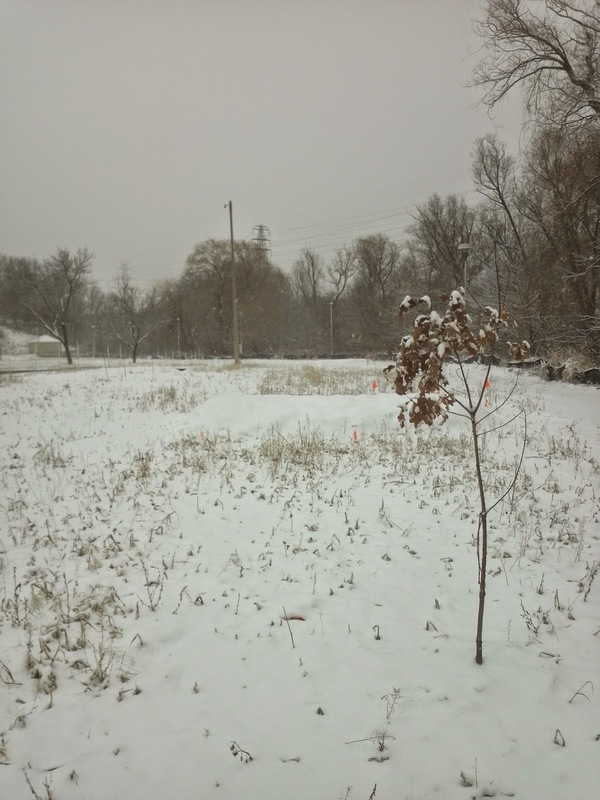 Here's an oak sapling planted in the now naturalized buffer zone between Lot M parking and Ancaster creek. In the back ground you can see the small orange flags marking newly created turtle habitat, sandy mounds where females turtles can lay eggs. The spring will reveal how well this new habitat will do. Fingers crossed for success! Thanks to Reyna Matties for the photo.